The Sil-serter is the most recent Medtronic MiniMed revolution in infusion set insertions for all Silhouette Infusion Sets. 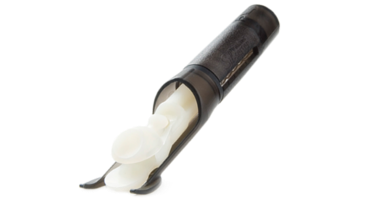 It makes insertions quick, easy and virtually painless. The Sil-serter is a spring-activated device that inserts the Silhouette at the press of two buttons. For Silhouette Infusion Sets Only.